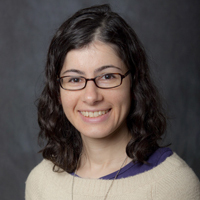 Dr. Josefa Steinhauer received her PhD from Columbia University and is an assistant professor of Biology at Stern College for Women, where she teaches Genetics and Molecular Biology to upper-level science majors. Her laboratory uses the Drosophila testis to elucidate molecular mechanisms of intercellular signaling and to discover how the somatic support cells communicate with the sperm cells in order to direct and support their development. 1. What did you do before you joined YU as a faculty member? I was a postdoctoral research scientist at NYU Langone Medical Center. 2. What is your favorite aspect of your job at YU? In the two classes that I teach, students learn in detail about the research process that leads to seminal scientific discoveries. I also love that I am able to run a research program here with several research students. It’s very rewarding for me and the students to actively contribute to scientific understanding today and to be part of the larger research community. 3. What profession other than your own would you like to attempt? My dream job is to work at a zoo. 4. What is your goal as a scientist, and what is your goal as a teacher? My goal as a scientist is to be able to stick around long enough to see how discoveries from my lab fit in with those from other labs as scientific understanding progresses. My goal as a teacher is to hone my students’ analytical skills and help them realize that it is within their power to understand their world. 5. What would your current and former YU students be surprised to learn about you? I wanted to be a fashion designer when I was a child. I did not become interested in science until high school.